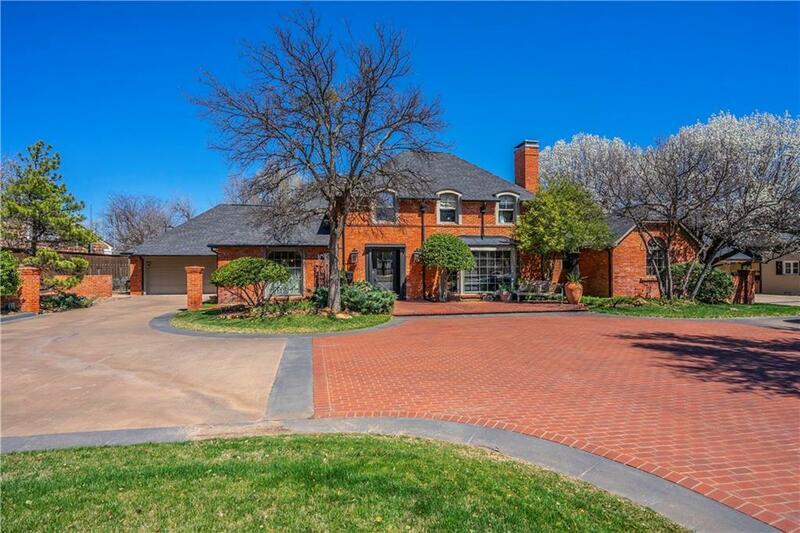 Beautiful home is located in a prime Nichols Hills location. The stunning exterior features ample parking. Inside are multiple living spaces, a downstairs master bedroo, his & hers bathrooms and walk-in closets. Two bedrooms and one bath are upstairs. The backyard is an oasis with a built-in grill and fireplace.